If you’re in charge of planning a reunion just outside of Toronto and thinking of involving your extended family of aunts, uncles, cousins, and in laws, consider a Toronto charter bus or school bus rental. This is a great choice to make sure that no one gets lost, and everyone can enjoy the sites together along the way. Simply continue reading in order to discover a few popular destinations which may suit your group’s needs. Paris, Ontario is a picturesque town which is known for its historical buildings and was founded in 1829. So if you can imagine your group enjoying meals together in downtown Paris’ charming restaurants, most of which are housed in period buildings, you may want to consider hosting your next reunion in Paris. If you’re looking for a reunion destination which offers a variety of team building style activities, you’re in luck as Paris also backs straight onto the Grand River, where you’ll be able to take an escorted kayaking tour as a group. Furthermore, Paris also boasts it’s very own vineyard, where you’ll be able to sample locally produced wines together. If you’re interested in touring a vineyard, it’s definitely worth booking your group in, to enjoy a vineyard lunch, which will be accompanied by a few varieties of carefully matched wines. So if you’re interested in heading to Paris for your upcoming reunion, you’re in luck as Paris is located less than 2 hours from downtown Toronto! Cobourg is continently located just 60 miles from Toronto’s city center and is a laid-back beach town, which is a great place for family dinners and also known for offering one of the most picturesque beaches in Ontario. Your group will love getting to spend your days relaxing on Cobourg Beach’s yellow sand beach, which also boasts a boardwalk, a variety of scenic picnic areas, a few children’s playgrounds, a splash pad and an inexpensive snack bar. If you plan on organizing a few outdoor activities such as sports matches, it’s also well worth visiting Victoria Park, a beautiful lakeside park which offers plenty of wide open grassy areas. Lastly, as Cobourg is the largest town in Northumberland County, Cobourg also offers a plethora of dining options as well as bars and boutique stores. So you’ll defintely find yourself spoilt for choice when it comes to selecting dinner venues. Also located within a short drive of Toronto is Creemore, a charming village, which is known for producing high-quality craft beer. So if you think that your group would enjoy getting a chance to catch up over a few locally produced craft beers, you may be sold on the idea of choosing Creemore as your next reunion destination. Furthermore, Creemore also is home to a wide variety of parks which offer scenic hiking trails, which your group may be interested in exploring as a group. If you’re feeling peckish after a day of sight-seeing, exploring and reconnecting it’s well worth booking a table at Creemore Kitchen or Eigensinn Farm, both of which are highly renowned for their mouth-watering fare. Most of which is sourced locally. 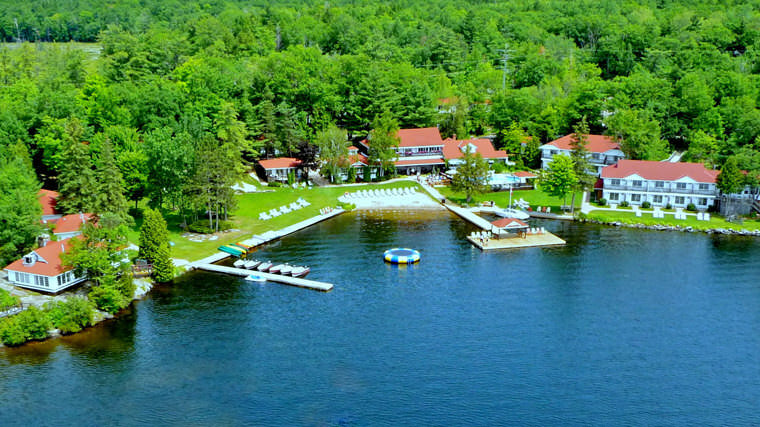 So if you’ve been shoulder tapped to organize a reunion near Toronto and are looking for charming destinations which have plenty of activities, attractions and eateries to offer, you simply can’t go wrong choosing any of the reunion destinations listed above! Welcome to our family blog! We are the Newmans and our site HeroRat is all about family, home and pets. Myself (Maya) writes most of the articles, but sometimes the kids and hubby help too. We have 3 adorable dogs and 3 adorable kids! We do a lot together as a family, so it's pretty busy in our house on a regular basis. How Can Universities Help Solve The Creative Arts Crisis?